The Dragon's striking TripleGrip cam lobes feature an increased contact area with a raw aluminium finish and additional bite points. These features work together to increase friction between the cam lobe and the rock it's placed in. 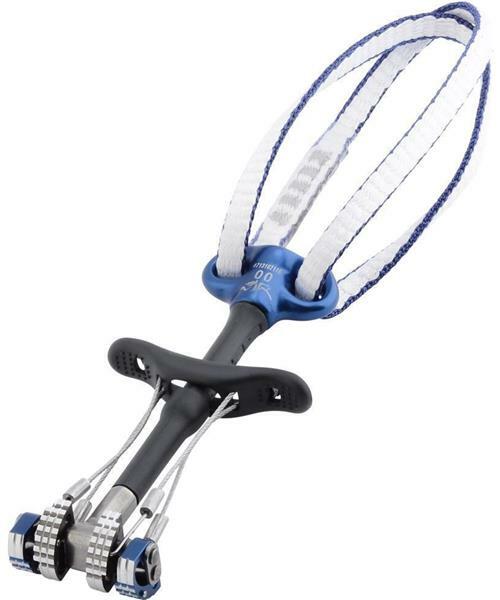 This increases holding power and reduces walking, particularly in slick or soft rock types and marginal placements. Single stem, dual axle design gives Dragon cams 360° flexibility and a substantial expansion range, increasing performance in sub-optimal placements and helping you get the right piece first time. The Dragon cams hot-forged thumb press gives stable handling and reduces fumbling from gloved hands and pumped fingers. It allows the Dragon to have an extendable sling with no strength penalty, reducing the number of quickdraws needed to extend placements and minimising rack weight.